The landscape of the Pyrenees-Atlantiques offers much to the holidaymaker. The warm and glittering beaches of the Atlantic coast are perfect for a seaside holiday; further inland, you will find whitewashed villages peppering rugged green rolling hills inhabited by wild horses - the rural idyll of Basque country, and the ideal place for a hiking holiday. Throughout this pleasant and unspoilt region are medieval castles, Romanesque churches and beautiful monasteries. This is Basque country, home to the world's most unique and arcane cultures, and our collection of the best places to stay in Pyrenees-Atlantiques will make you want to stay forever. If you're after a seaside holiday then you've come to the right place because the Pyrenees-Atlantiques brims with golden beaches. Strewn along the coastline are towns like Biarritz, Bayonne, Anglet and Saint-Jean-de-Luz. Biarritz is beloved for her beaches, gorgeous 19th century architecture and the beautiful views gained from her coastal path while Bayonne, really a sub-section of Biarritz, is also lovely to visit. The area along the Atlantic coast is extremely popular with surfers, who come in droves to ride the roaring waves. While in Biarritz be sure to check out the Eglise Saint-Martin, where you'll find the graves of Wellington's soldiers in a spot overlooking the sea. 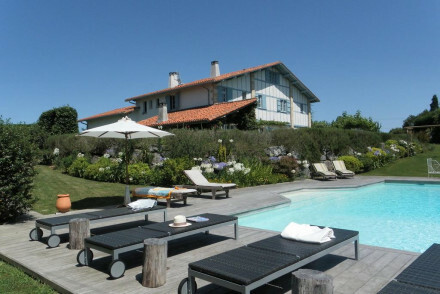 Saint-Jean-de-Luz has some picturesque villas that are worth checking out, while also boasting more unspoilt beaches than the larger towns. Fish and shellfish are prevalent in the Basque towns along the coast, so expect a lot of fresh seafood! The real charm of the region lies further inland, the green heartland of Basque country. There are the pretty villages scattered along the Aspe Valley like Saint Engrace, from where you can hike to the Gorges de Kakouetta - beautiful waterfalls in the shadow of high cliffs - which is well worth the effort, particularly for the sublime views. The region stands in the shadow of the Pyrenees mountains and has some of the best hiking spots in all of France, and a great many guided walking tours are on offer. Green forested hillsides littered with picturesque whitewashed villages define the area, and the pretty villages are often considered to be some of the most beautiful in France. Ainhoa, for example, is a classic example of a Basque village: the centuries-old houses are white with red or green shutters and doors, and in Espelette, you can see chillies hanging out to dry. Ainhoa is also a great starting point for a hiking holiday: on a hill above the town is an archaic Basque burial site, made up of Celtic-like gravestones. If you're in Basque country, you have to check out a "pottok", an enclosure for the wild horses native to the region. In January, Espellete becomes host to a pottok fair where you can see the horses for yourself. As you get closer to the Spanish border, you meet places like Saint-Jean-Pied-de-Port, perfectly-preserved medieval towns strewn along the Saint James pilgrimage route. The area is steeped in history and towns like Navarrenx are wonderful to explore, with her old medieval ramparts and tunnels, while more isolated castles like the Chateau de Montaner offer fully immersive experiences to visitors: the vast polygonal structure, centred around a 36m high keep, is a sight-to-behold in itself, but summer activities like axe-throwing, medieval fayres and battle reenactments occur regularly. 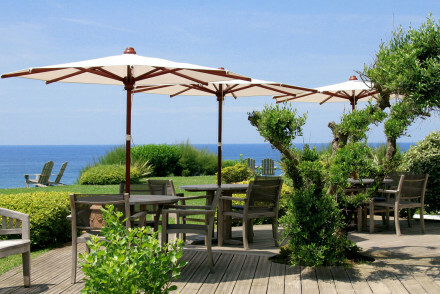 Lounge in the sunshine on the wide and white sand beaches of Biarritz or Saint-Jean-de-Luz! Visit the ramparts and tunnels of the old walled town of Navarrenx. Walk to the Gorges de Kakouetta and marvel at the beauty of the waterfall. Hike through the rolling green farmland of Basque country. Be sure to look out for a "pottok" enclosure of wild horses! Check out the picturesque medieval town of Saint-Jean-Pied-de-Port, only a few miles from the Spanish border. 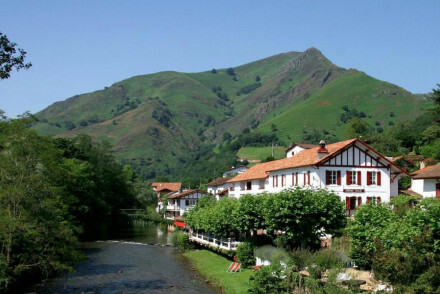 Visit a traditional Basque village, many of which are considered to be the most beautiful in France, like Ainhoa or Sares. The Pyrenees-Atlantiques has a diversity of landscape: from rural idyll to seaside paradise, it offers the holidaymaker a great variety of things-to-do, from hiking and history to sunbathing and surfing, and our pick of the best places to stay in Pyrenees-Atlantiques offers a range of hotels that will suit whichever holiday you choose. 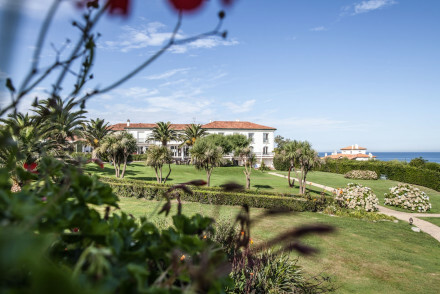 Hotel du Palais is a grand option overlooking the Bay of Biscay. Come here for spacious rooms, opulent interiors, excellent dining and of course a pampering spa. Right in the lively Quartier des Halles, you'll find the Hotel de Silhouette. 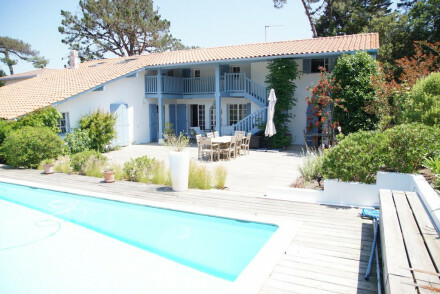 It boasts funky modern rooms, a lovely garden and is just 300m from the beach. La Reserve is a beautiful family friendly hotel in a stunning clifftop position that guarantees breathtaking views over the Atlantic. Interiors have a contemporary feel, plus there's tennis courts, sprawling gardens and excellent Basque cuisine. 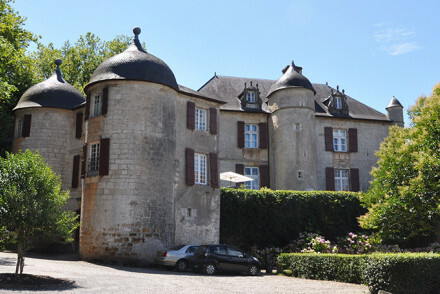 Chateau d'Urtubie is an elegant family-run property just out of town. The eight rooms are traditional in style and some boast antiques and period pieces. Plus there's beautiful gardens and a lovely outdoor pool. Chez Chilo: an adorable little hideaway in a pretty village ideal for large families, offering a swimming pool, restaurant serving local fare and a children's play area. 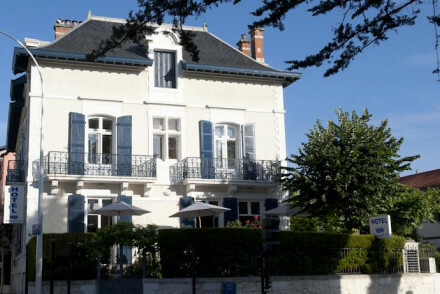 La Villa Hotel: in a charming spot above the Nive, a townhouse in the centre of Bayonne offering classic rooms. Lovely secluded gardens, ideal for a romantic retreat. Ferme Elhorga: a lovely B&B nestling amidst rolling hillsides, offering rooms that blend contemporary and rustic styles. Sumptous breakfasts, gorgeous scenery and charming hosts. Ideal for couples on a hiking holiday. 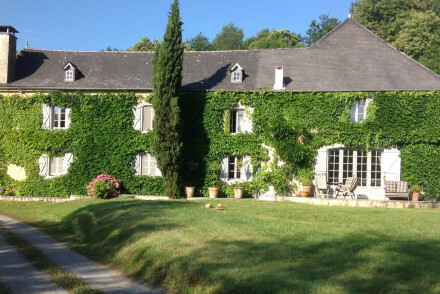 La Bastide Estratte: a country house crawling with ivy in a secluded spot overlooking the Pyrenees. Ideal for hikers, the rooms are traditionally-decorated with exposed stone walls and wooden beams. Hot tub is perfect after a long day walking. Ostape: sitting in the foothills of the Pyrenees, this beautiful lodge offers luxurious suites, a spoiling spa and glorious Basque cuisine. Ideal for couples or families. 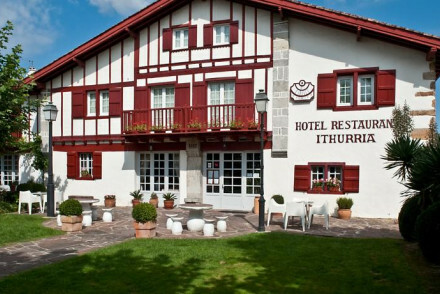 Ithurria: beautifully renovated 17th century inn in Ainhoa, with a Michelin-star restaurant and bright minimalist rooms. 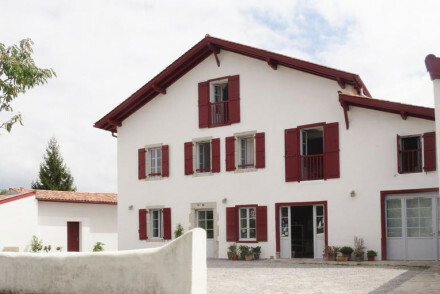 The exterior is classically Basque: whitewashed walls and red shutters. Arguibel: with the beach a short drive away, this effortlessly cool combination of neo-Basque decor and stylish hi-tech designer rooms makes for a truly pleasant stay. Intimate and romantic, ideal for couples. The Jardins de Bakea is situated in a little village right on the Spanish border. 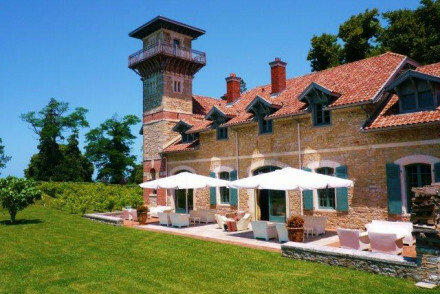 It has 25 prettily decorated rooms, and its gourmet restaurant is one of the finest in the region, with wines to match! 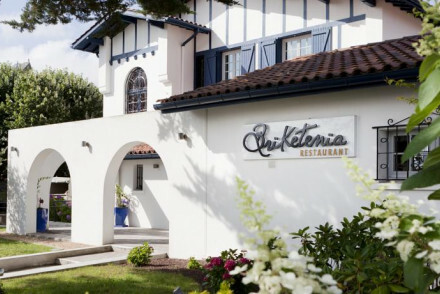 Briketenia is a restaurant with rooms (located in Guethary just north of St Jean de Luz) owned by the renowned Ibarboure family who's CV is littered with Michelin stars. Rooms are simple, contemporary and chic. The food is sublime! 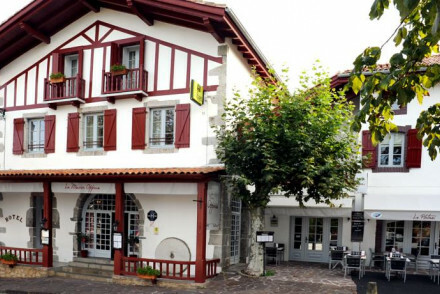 L'Auberge Basque is a Michelin starred restaurant with rooms set in lovely countryside to the east of St Jean de Luz. Come here for beautiful scenery, seriously stylish accommodation and food that will blow you away. Our partner Booking.com has a wide range of villas and apartments throughout the Pyrenees-Atlantiques. Fly to Biarritz Pays Basque Airport. The best time to go is during the summer month, when the waters average at a temperature of 22 degrees and the weather itself is clement. Expand your search to include the best places to stay in the Pyrenees-Orientales, Hautes-Pyrenees or the Basque Country, Spain. 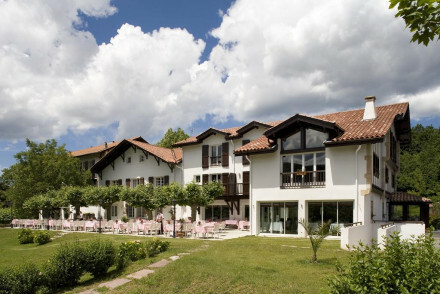 An adorable family hotel with fantastic rustic food, in a picturesque village. Fresh and simple bedrooms in pastels and whites and a lovely dining room, in which you'll be served the best local produce. A delightful garden, swimming pool and children's play area. The perfect hideaway. 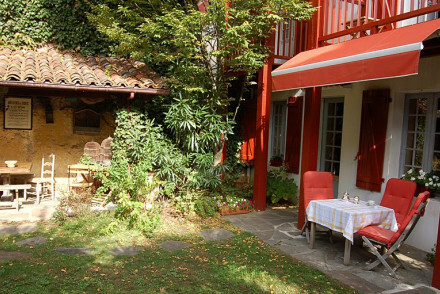 Hideaway - A French country getaway where you can trade the hustle and bustle for the laid back life of the mountains. Great walks - Grab a packed lunch from the hotel and set off to explore the plateaus, forests and grasslands. Sights nearby - The beautiful valleys of Aspe, Ossau and Barétous are nearby. An elegant white painted house a near the historic centre. Ten classic-contemporary bedrooms decorated in soft pastels. Breakfast on a lovely Italian-esque terrace overlooking secluded gardens. A tranquil spot on a hill above the Nive. Local exploring - Just a 15 minute walk into the historic town of Bayonne. Well positioned to explore the Basque country. Less £ - You can book this property for as little as €80 per night. Families - Family friendly rooms which can sleep up to four. Sights nearby - Visit the d Château Vieux castle in Bayonne. 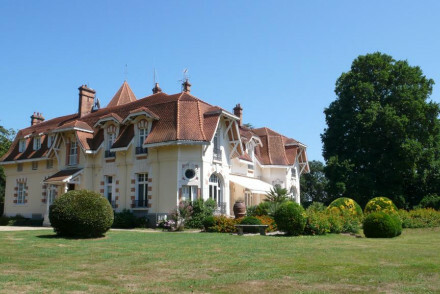 A large country house/B&B set in beautiful gardens. Spacious, elegant rooms with private terraces onto the garden. Charming breakfast terrace, large swimming pool, and outdoor sauna. A great location for families and those on a budget. A picturesque white washed house with deep red shutters set between the sea and mountains in the heart of the Basque Country. Contemporary interiors are simple and stylish, there's an ever friendly host and plenty to explore in the region. Local exploring - A glorious base to discover the Basque Country from. Surfing - Find ideal conditions for surfing on the nearby beaches. An ivy clad house set in a serene and secluded spot overlooking the Pyrenean peaks. Three individually styled rooms are charming and traditional with exposed beams, soft hues and wooden floors. Unwind in the hot tub, take long walks and discover the Jurançon wine routes. Country Escape - A tranquil and scenic spot overlooking the Pyrenean peaks. Great walks - Discover picturesque walking trails starting straight from the property. 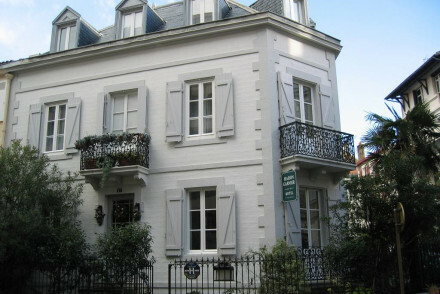 Charming and oh-so-French address in the city centre. A 19th century mansion keeps its original interiors - wood panelling, wooden floors, and old mirrors - which compliment the rooms' elegant creams and whites. The breakfast terrace is the pièce de résistance. Relaxed and family-friendly. Local markets - Explore the local french markets both in Biarritz and further afield. 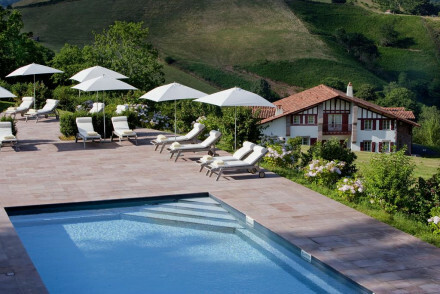 A charming property with lovely views of the Basque Country. Pretty rooms, traditional in style, with chintz fabrics and sash windows. Contemporary, well appointed bathrooms. 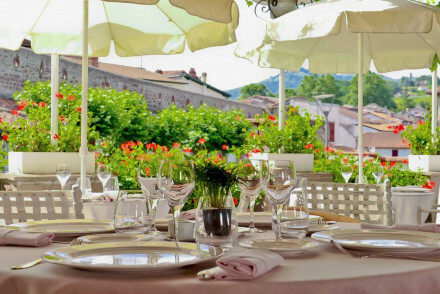 Gourmet regional cuisine, a stunning outdoor terrace for dining and a great wine list to boot. An ideal country getaway. Foodies - The gourmet restaurant is one of the best in the region and serves stunning, locally sourced, seasonal dishes. Country Escape - Situated in a pretty garden with lovely sweeping views and plenty of outdoor pursuits in the surrounding area. Great walks - Lovely walks through the pretty Basque country. A restaurant with rooms that provides wonderful hospitality and food in a beautiful home. Five individually styled, traditional, rooms. Chintz fabrics, beamed ceilings and local art give a quaint feel. A delightful menu with much of the produce coming from the garden. A charming rural stay. Foodies - Mouthwatering, simple, regional cuisine using only the finest local ingrediants, most straight from the garden. 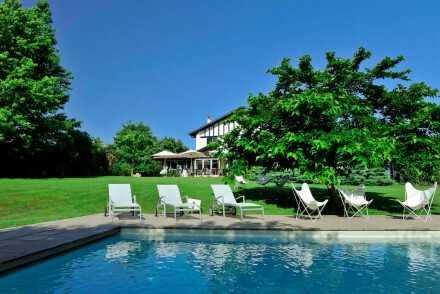 Country Escape - A lovely rural property, cosy and quiet, at the foothills of the Pyrenees. Sights nearby - Visit the late-Romanesque church and wander the streets of Sare with it's quaint whitewashed houses. Great walks - Spend a day at the coast and find stunning rugged walks. Elegant family-run chateau. Sympathetically restored bedrooms and suites crammed with antiques and artworks, and seriously impressive public spaces. Beautiful grounds and lovely swimming pool. Within walking distance of a gourmet restaurant. Ideal for foodies, couples, and local explorers. 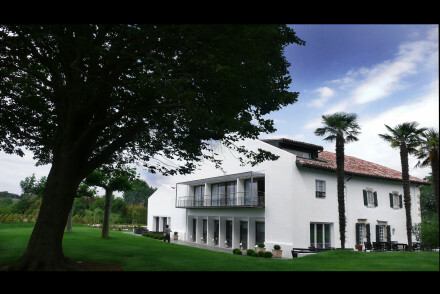 Value chic - Beautifully restored rooms start from just €85 per night. Foodies - Michelin recommended gourmet restaurant very close by. Great walks - There's a good range for all abilities from walking the coastal paths to hiking in the nearby mountains. Local markets - Visit one of many traditional local markets in the surrounding towns and villages. A pretty 17th century inn in the historic village of Ainhoa. Traditional rooms keep their charm with exposed stone walls and wooden beams yet have a fresh contemporary feel. Regional cuisine is served in the restaurant. Plenty of outdoor pursuits in the area. Inexpensive, ideal for a country break. Local exploring - Book a stay here and you're perfectly placed for exploring both rural towns and villages and the coast and beaches. Country Escape - A converted coaching lodge with a number of outdoor activities in the surrounding area. Great walks - Great hiking opportunities in the surrounding area and you may also see the Basque small wild horses, "pottocks". Sights nearby - Visit the pretty seaside town of Saint Jean de Luz. A boutique B&B in an historic house. Chic rooms and suites have contemporary furnishings and all the mod cons. Works of art and objets d'art fill every corner, plus there's a large swimming pool and sun bathing area for relaxing, and lunch on request. A quiet base for local exploring. 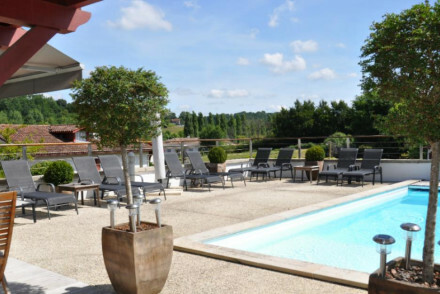 Country Escape - La Bastide Clairence has been described as one of France's most beautiful villages, perfect for a rural break. Local exploring - Beaches, countryside, villages, and monuments to explore. Views - Beautiful green countryside around. Sights nearby - Charming villages and historic abbeys, churches, and cathedrals to explore. A chic boutique restaurant with rooms owned by renowned restauranteurs the Ibarboure family. Undeniably brilliant cuisine. Trendy interiors with simple white-washed walls, exposed stonework and small balconies to take your gourmet breakfast on. Miles of sandy beaches nearby. French paradise. Foodies - Owned by the Ibarboure family who harbour generations of restaurantier experience and are littered with Michelin Stars. Surfing - Long swathes of sandy beaches with excellent surf conditions. Great walks - Miles of coastline to be explored. Delightful, family-run hotel in the centre of lovely Sare. 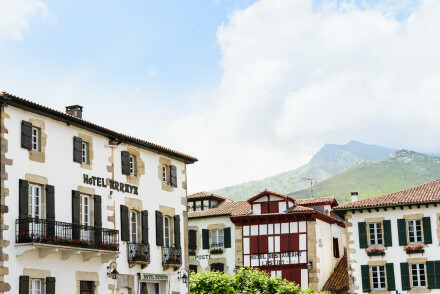 It combines the comfort of a modern hotel with the charm of a quintessentially Basque residence - wooden beams, colourful country fabrics, pretty objets d'art and quaint bed spreads. An excellent restaurant too. A charming country abode. Country Escape - A gorgeous property, set in one of France's prettiest villages, at the foothills of the Pyrénées. Sights nearby - Visit the storybook pretty hamlet of Ihalar. Magical riverside setting in a typical Basque village. Excellent restaurant serving rustic treats such as wood pigeon. Large elegant bedrooms with terraces and beautiful mountain views. Guests are invited to relax by the outdoor pool or the cosy hotel lounge. A peaceful country retreat. Foodies - The in-house restaurant dishes up delicious rustic treats. 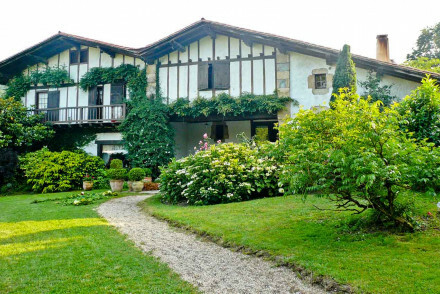 A gorgeous property set in a quaint village in the hills of the Basque Country. Traditional french-country rooms feature light wooden furniture and pretty fabrics. Lovely gardens equipped with a tennis court and pool. The gourmet regional cuisine is a treat. A charming rural abode. Foodies - Foodies will love the season and traditional cuisine served in the gourmet restaurant. Sights nearby - Visit the Rock of the blessed Virgin that overlooks Biarritz Bay. 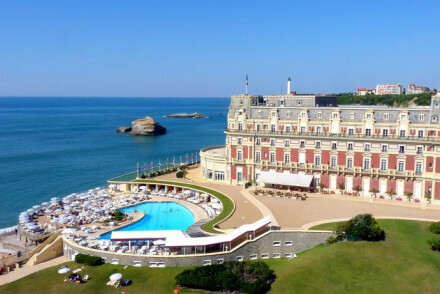 A refined sea side hotel within walking distance of Biarritz's beaches. Just 7 bedrooms with white washed walls and wooden floorboards, some with private balconies. Elegant and poised - an intimate hotel with plenty of style. Beach Life - Situated just three minutes walk from the beach. A gorgeous townhouse hotel in Guethary. Romantic rustic-style rooms and suites filled with sumptuous fabrics and antiques. Beautiful garden, pool, and breakfast terrace. A stunning location for romantics who want to experience the surf, sand and restaurants around. 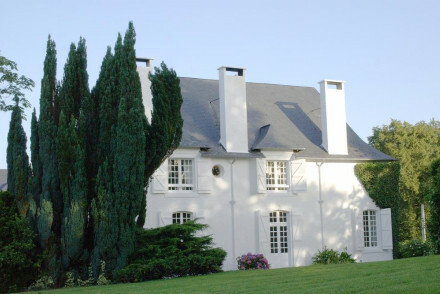 A bright white country house, set in mature gardens, between the coast and the mountains. Five traditionally dressed rooms are all individually styled with dark antique furniture, warm hues and wooden floors. Indulgent breakfasts are served and the friendly hosts always give a warm welcome. Country Escape - A charming rural house set in stunning countryside. Sights nearby - Take a train and a boat through the lo­cal caves at Béthér­ram. Beautiful hotel with stunning vistas of the Atlantic ocean. Its contemporary rooms are light and spacious with balconies that boast views out to the sea. Have a game of tennis or amble down the coastal path to the charming town of St Jean de Luz. The perfect place for exploring the Basque coastline. A trendy rural abode in stunning scenery. A perfect merging of traditional design and simple Scandinavian style modernity. Rooms feature floor to ceiling windows, light wood, crisp white linens and contemporary art. Modern French Michelin starred dining. A chic country option. Active Holiday - Plenty of outdoor pursuits in the surrounding area to keep all entertained. 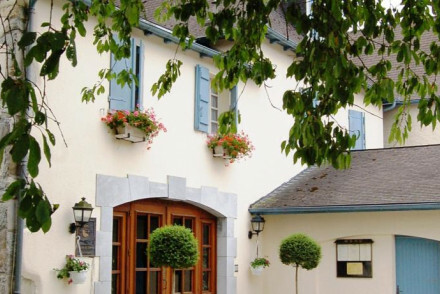 Foodies - The Auberge boasts one Michelin star, a must stay for foodies in the area! 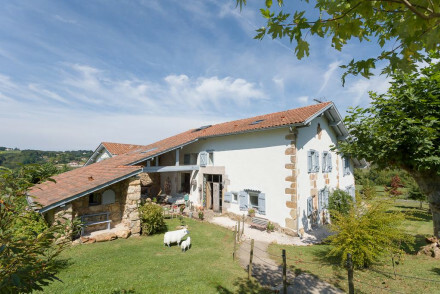 Country Escape - Situated in a pretty rural location overlooking La Rhune Mountains. Families - Lovely family rooms with self-catering as an option. Utterly charming and individual B&B in the heart of the old town. An eclectic mix of decorations - china, rugs, objets d'art, paintings, and a wonderful library. Minutes from the beach. A really characterful spot. Beach Life - A gorgeous french house on a quiet pedestrian street leading to the main beach, in the heart of the old city. Full of character - La Deviniere oozes character and is filled with period objets and antiques plus a vast library to lose yourself in! A laid back rural property not far from the coast. Chic rooms are modern with hints of the rustic; exposed beams and white washed furniture. Charming gardens to enjoy a game of boules, plus an outdoor pool. Excellent value, very relaxing, and plenty of coastal activities to get involved in. Country Escape - Although close to Biarritz, Basque mountain views, fragrant gardens and laid back atmosphere ensure a rural feel. A modern villa with a neo-Basque facade. High tech designer rooms focusing on rock'n roll, baroque, or stone spirits, all with private balconies. Walking distance to Michelin starred restaurants and beach sports galore. Ideal for foodies, surfers, and romancers. Foodies - The hotel is within walking distance of 2 michelin star restaurants. Surfing - Suitable beaches nearby. 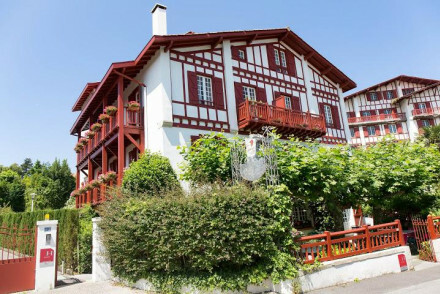 A charming B&B set in a picturesque spot in the Basque Country. Five light and airy individually styled rooms perfectly mix traditional and contemporary styles. The hosts are warm and friendly, breakfasts indulgent and the area is full of things to explore. Hideaway - A small charming B&B set in tranquil rural surrounds. Great walks - Find numerous walking trails starting straight from the property. 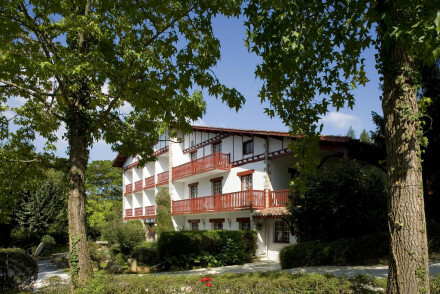 A charming hotel in rural Basque country. Contemporary chic rooms and suites with all the mod cons, polished wooden floors, and elegant furnishings. Fabulous Michelin starred restaurant, pool, and lovely terraces. Excellently placed for local sightseeing. Foodies - Michelin starred restaurant showcasing inventive Basque cuisine. Sights nearby - Saint-Jean-Pied-de-Port itself has many attractions which you can reach by foot. Charming renovated 17th century inn with Michelin-starred restaurant. A hotel with a rich heritage and an equally rich experience - delicious food, activities aplenty (tennis, swimming, golf), refreshingly simple rooms and family apartments. Foodies, families, fun in the sun. Total relaxation - A warm and welcoming hotel sItuated in tranquil countryside, with a sauna, pool, reading room and lovely gardens. Families - With some large apartments and plenty of activities for everyone to partake in, from table tennis to golf. Great walks - Take a stroll around one of the most beautiful villages in France, Ainhoa. Set in a large leafy estate stands a chateau, a hunting lodge and a villa - an ideal spot for foodies, families or groups touring the Basque country. A wonderful restaurant, beautiful period-inspired interiors and lovely garden. A really magnificent place to explore Biarritz. A charming hotel right on the beach. Contemporary rooms are large, with sea views and splashes of colour, and roomy apartments are ideal for families. Shady terrace to enjoy the views, and the garden directly links to the beach. Laid back, chic and sunny. 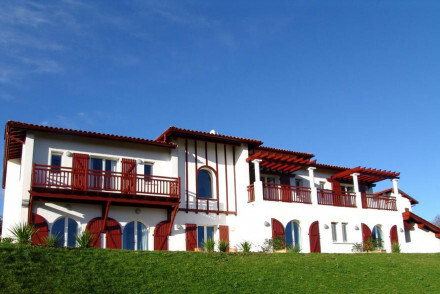 A small chic B&B ideally positioned in a secluded spot near the Basque Country coast. Rooms are light and bright with crisp white linen, floor to ceiling windows and pale wooden floors. An enormous pool sits out front, there's surfing and golf nearby as well as bikes to hire. Families - A family friendly property surrounded by a variety of activities to suit everyone. Surfing - Find perfect surf conditions at the nearby beaches. 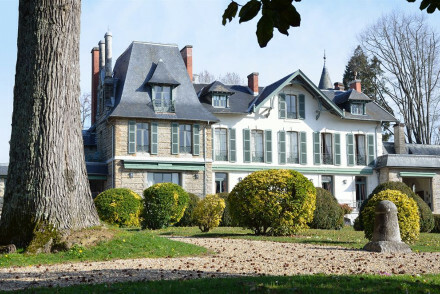 An idyllic hotel set in a beautiful 18th century mansion, on the outskirts of Pau. The tastefully decorated rooms combine modern style with traditional elegance. The atmospheric Le Soft Bar is a great spot to enjoy views over the Pyrenees. A grown up getaway for two. Romantic Break - The romantic suites boast lavish bathrooms and access to the sauna and hot tub, as well as gourmet food and stunning views. Sights nearby - Anyone with an interest in architecture and history should visit Beaumont Palace, less than a mile away. Great walks - The property sits on two hectars of lovely walks through the surrounding parkland. 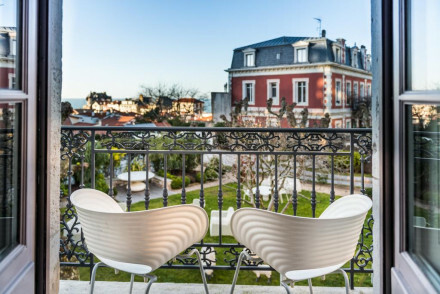 Airy and contemporary addition to Biarritz’s hotels. A beautiful sandstone building with funky modern rooms and a lovely garden. A charming place to stay, nestled in the town's streets, with great restaurants and a daily market place close by. A Pyrenean lodge nestled in the hills with sweeping views over the valley. Giant suites with white washed walls and exposed beams. Swimming pool, spa, and fantastic Basque cuisine. A back to nature experience with comforts designed for romancers, foodies, and even families. Views - View across the Nive valley from a 45 hectare estate. 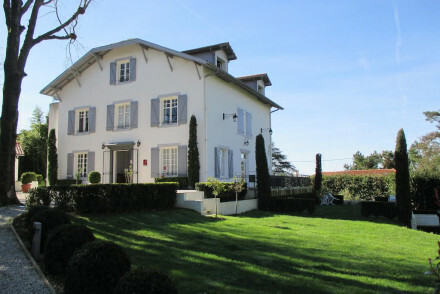 Outstanding location - In the rolling foothills of the Pyrenees. Cooking classes - Join one of the cookery classes and take home some Basque recipes of your own! A luxurious Five Star hotel close to the beach. Contemporary rooms in Baroque style have large marble bathrooms. An outdoor pool, library and excellent bar. Superb regional cuisine and plenty of intimate spaces to relax in. Dramatic, romantic and understated. Great walks - Climb the 248 steps of the Lighthouse! A grand hotel overlooking the Bay of Biscay. Opulent interiors throughout with chandeliers and heavy draped curtains and frescoes. The rooms are standardly large and impressive. An indulgent spa and indoor and outdoor pool. Steps from the beach. Multiple fine-dining restaurants. A spoiling stay. Beach Life - Just steps from Biarritz’s beach. Sights nearby - Just half an hour from the hotel is the fairytale like Abbadia Castle. Fishing - Sea fishing in the Bay of Biscay.